For other people named Don Carlos of Spain, see Don Carlos of Spain (disambiguation). 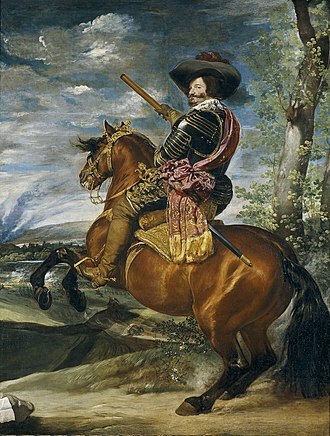 Infante Carlos of Spain, also known as Infante Charles of Spain (15 September 1607 – 30 July 1632) was infante of Spain, the second son of Philip III of Spain and Margaret of Austria. 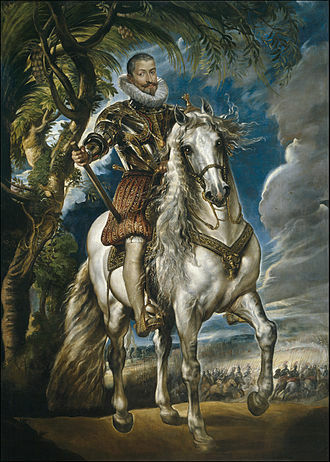 Charles was the younger brother of Philip IV and as long as the King remained childless was heir to the Spanish throne. 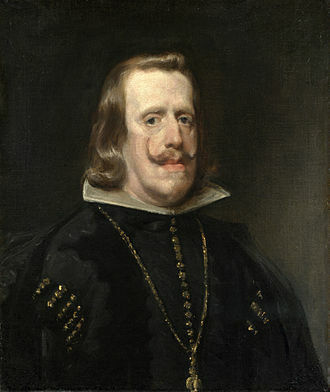 Charles was never a friend of Philip's favourite and prime minister, the Count-Duke of Olivares, and though he was uninterested in politics, he was used by various nobles in attempts to overthrow Olivares. During his brother's severest illness, Charles was on the point of ascending the throne but Philip recovered and in 1629 finally fathered a son, Balthasar Charles. This dissipated Charles' political importance completely. Charles was one of the era's most enigmatic characters due to his strange and possibly unhealthy personality. [clarification needed] He died in 1632, aged 25. Francisco de Quevedo dedicated a sonnet entitled The Burial of the Most Serene Infante Don Carlos to this event. Francisco Gómez de Quevedo y Santibáñez Villegas was a Spanish nobleman and writer of the Baroque era. Along with his rival, Luis de Góngora, Quevedo was one of the most prominent Spanish poets of the age. His style is characterized by what was called conceptismo and this style existed in stark contrast to Góngoras culteranismo. Quevedo was born in Madrid into a family of hidalgos from the village of Vejorís and his family was descended from the Castilian nobility. 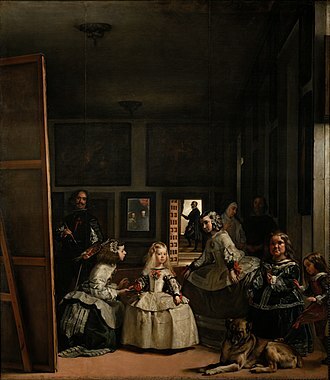 Quevedo matured surrounded by dignitaries and nobility at the royal court, intellectually gifted, Quevedo was physically handicapped with a club foot, and myopia. Since he always wore pince-nez, his name in the plural, orphaned by the age of six, he was able to attend the Imperial School run by the Jesuits in Madrid. He attended university at Alcalá de Henares from 1596 to 1600, by his own account, he made independent studies in philosophy, classical languages, Hebrew and Italian. In 1601, Quevedo, as a member of the Court, moved to Valladolid, where the Court had been transferred by the Kings minister, the Duke of Lerma. There he studied theology, a subject that would become a lifelong interest, by this time, he was becoming noted as both a poet and a prose writer. Some of his poetry was collected in a 1605 generational anthology by Pedro Espinosa entitled Flores de Poetas Ilustres, around this time, he began a very erudite exchange of letters with the humanist Justus Lipsius, in which Quevedo deplored the wars that were ravaging Europe. The Court returned to Madrid in 1606, and Quevedo followed, by then, he was a well-known and accomplished man-of-letters. He befriended and was praised by Miguel de Cervantes and Lope de Vega, Quevedos enemies included, among others, the dramatist Juan Ruiz de Alarcón for, despite his own physical handicaps, Quevedo found Alarcóns redheaded and hunchbacked physique a source of amusement. Quevedo attacked Juan Pérez de Montalbán, the son of a bookseller with whom he had quarrelled, satirizing him in La Perinola, in 1608, Quevedo dueled with the author and fencing master Luis Pacheco de Narváez as a result of Quevedo criticizing one of Pachecos works. 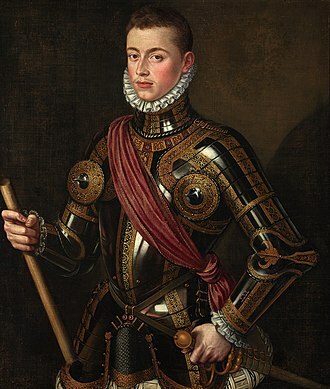 Manuel I, the Fortunate, King of Portugal and the Algarves, was the son of Infante Ferdinand, Duke of Viseu, by his wife, the Infanta Beatrice of Portugal. His name is associated with a period of Portuguese civilization that was distinguished by significant achievements both in political affairs and the arts. Manuels mother was the granddaughter of King John I of Portugal, whereas his father was the surviving son of King Edward of Portugal. In 1495, Manuel succeeded his first cousin, King John II of Portugal, Manuel grew up amidst conspiracies of the Portuguese upper nobility against King John II. He was aware of people being killed and exiled. His older brother Diogo, Duke of Viseu, was stabbed to death in 1484 by the king himself, as a result of this stroke of luck, he was nicknamed the Fortunate. Manuel would prove a worthy successor to his cousin John II for his support of Portuguese exploration of the Atlantic Ocean, during his reign, the following achievements were realized,1498 — The discovery of a maritime route to India by Vasco da Gama. 1500 — The discovery of Brazil by Pedro Álvares Cabral,1505 — The appointment of Francisco de Almeida as the first viceroy of India. 1503–1515 — The establishment of monopolies on maritime routes to the Indian Ocean and Persian Gulf by Afonso de Albuquerque. All these events made Portugal wealthy from trade as it formally established a vast overseas empire. Manuel used the wealth to build a number of royal buildings, commercial treaties and diplomatic alliances were forged with China and the Persian Empire. Pope Leo X received an embassy from Portugal during his reign designed to draw attention to Portugals newly acquired riches to all of Europe. 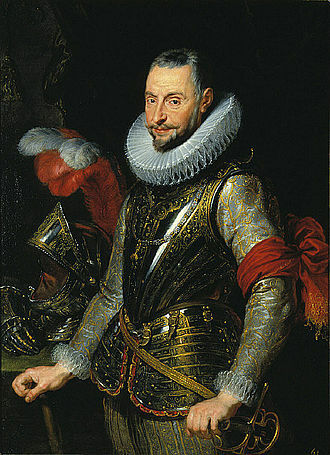 In Manuels reign, royal absolutism was the method of government, the Portuguese Cortes met only three times during his reign, always in Lisbon, the kings seat. 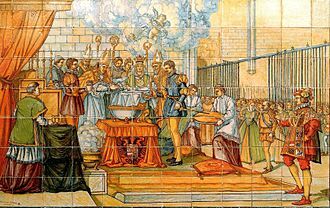 He reformed the courts of justice and the municipal charters with the crown, modernizing taxes, during his reign, the laws in force in the kingdom of Portugal were recodified with the publication of the Manueline Ordinations. 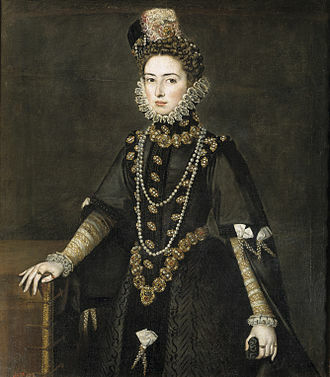 Anna of Austria was Queen of Spain by virtue of her marriage to her uncle, King Philip II of Spain. She was the eldest daughter of Holy Roman Emperor Maximilian II and her maternal grandparents were Charles V, Holy Roman Emperor who was emperor when she was born, and Isabella of Portugal. 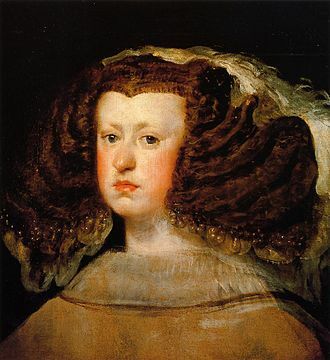 Her paternal grandparents were Holy Roman Emperor Ferdinand I and Anna of Bohemia, Anna was born in Spain, but lived in Vienna from the age of four. She had many siblings, two of whom became emperors, among her sisters was Queen Elisabeth of France, wife of King Charles IX of France. Anna was considered her fathers favorite child, the story goes that he enjoyed playing and gambling with her and once a meeting of the Estates of Hungary was postponed because Anna was sick. 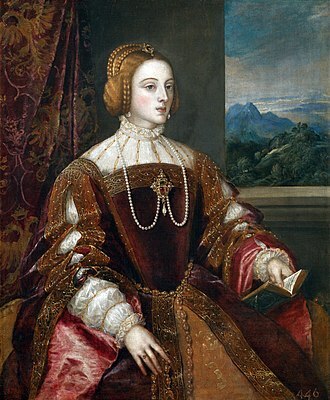 She received a Catholic education even though her father was sympathetic to Lutheranism, as the eldest daughter of the Holy Roman Emperor, Anna was a desirable candidate for marriage at the European courts. 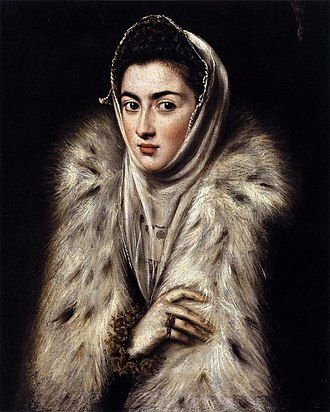 Her parents thought of a Spanish marriage to strengthen links between the Austrian and Spanish Habsburg families, initially she had her cousin Don Carlos of Spain in mind, the only son of her maternal uncle Philip II of Spain. These plans were shattered in 1568 when Don Carlos died, plans for a Spanish marriage were revived when Philips third wife, died in childbirth, in 1568. As a result, Philip was left a widower with two young daughters, Philip was now looking for his fourth wife, since he had no male heir since Don Carlos died. 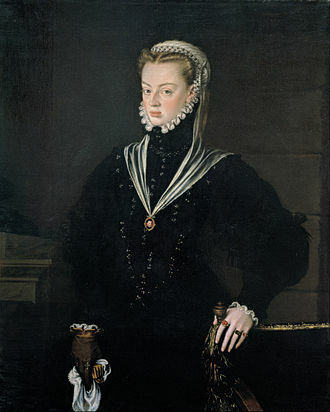 In February 1569, Annas engagement to her uncle Philip II was announced, Anna traveled from Austria to Spain in the autumn of 1570 accompanied by her brothers Albert and Wenzel. 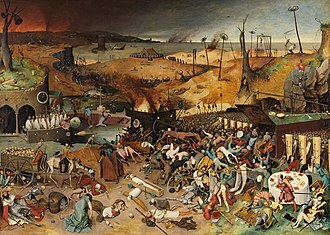 They traveled through the Netherlands, where Anna was accosted by friends and relatives of Floris of Montigny, Montigny had been imprisoned in Spain since 1567. 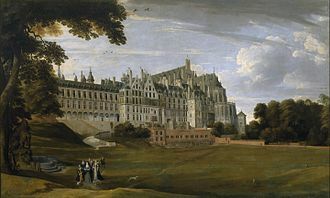 Now that King Philip had entered into a new marriage, Montignys family and they received a promise from the future queen that she would do her utmost to free Montigny, however she was unsuccessful, with Montigny being strangled on the orders of the king. Anna passed along the English Channel, where Elizabeth I sent her admirals, Charles Howard and William Wynter, to offer support, on 3 October Anna arrived on Spanish soil, but before she could reach the king, Floris was secretly put to death on 16 October 1570. The re-taking of Breda, an early Spanish success in the Eighty Years' War that would ultimately result in Olivares' fall from power, by Diego Velázquez.